Leaders Moving and Storage Company shares some best practices on the best way to pack delicate items to prevent damage. Moving can be an extremely stressful and chaotic time in your life, with packing possibly being one of the most daunting tasks. Even after decluttering and getting rid of items that you don’t need, you will probably find that you have more stuff than you could imagine. At Leaders Moving, we are a full-service moving and storage company, which means we can pack your entire house for you. However, we understand that you’ll want to save money on packing services by doing at least some of the packing yourself. We have gathered some of the best professional tips for packing your most fragile items, which can often be the trickiest. Fill the bottom of the moving box with packing paper to provide a good cushion for your items. 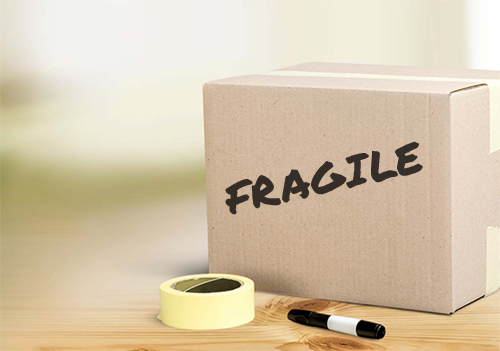 For fragile items, it can be advantageous to pack them in a smaller box, like a shoe box, before packing them in a moving box. Also, you’ll want to use a strong, sturdy moving box and not one that will easily break or bend. Before padding your items, you will want to seal the bottom and inside seams of the box with two or three pieces of tape for added protection. At Leaders Moving, we provide small, medium, and large moving boxes for purchase. Our Box Loan program means you can return these boxes in good condition after your move for an 80% refund. Talk about saving money on your move! One tip for packing, especially for fragile items, is to pack them on the floor instead of on a table or hard surface that might cause scratches. Keep all of your supplies within reach including tape, scissors, packing paper or bubble wrap, and boxes. There are different options when it comes to packing your fragile items. 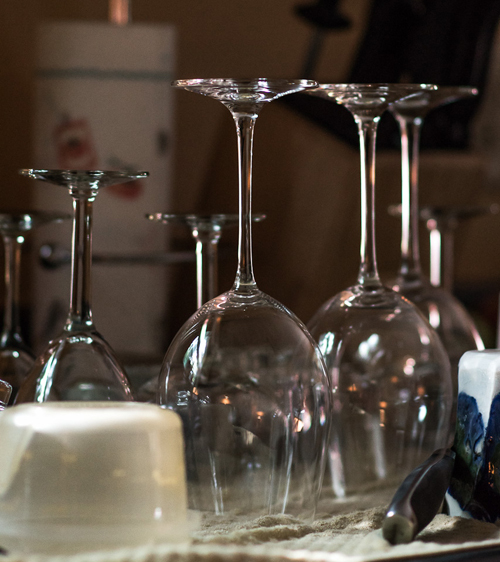 For glass items like vases or pitchers, we recommend the bubble wrap technique. Use the Bubble Wrap Technique. Gather all of your supplies you will need. This includes bubble wrap and large pieces of pliable cardboard to wrap around the items. Lay down the piece of cardboard and place your item on top to measure the size. Cut the cardboard so it can wrap around the entire item with two or three extra inches around. You can also use two smaller cardboard pieces that will be placed on opposite sides of the item. 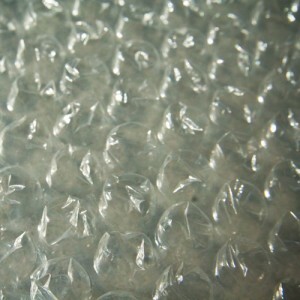 Get your bubble wrap ready. Place the bubble wrap between the cardboard and your fragile item. Make sure to place it with the bubble side facing down and the smooth side next to the fragile item. If you place the bubble side next to glass, it sticks and becomes difficult to work with. Wrap the bubble wrap tightly around the item. Make sure all of the ends and sides are covered. Place the bubble wrapped item on the edge of the cardboard and roll the item with the cardboard until it overlaps. If you are using two pieces of cardboard, place each one on opposite sides like a sandwich. Wrap tape around the cardboard package several times as tightly as you can. The fragile item should not be able to slip out. If it is seems to slip out, you can place more cardboard on the open ends and tape it securely. Optional: For additional protection on especially fragile items, you can roll the cardboard package up in another layer of bubble wrap and tape the package again. Finally, place the package securely in the padded box and fill in all of the spaces to prevent shifting. Another technique for packing fragile items involves tissue paper and packing paper, no bubble wrap. This is a particularly great idea for packing stemware. Use the Tissue Paper Technique. For stemware you will want to get a special box called a cell box or cell pack. This is a sturdy box with cardboard dividers to places the glasses in. You can also buy the dividers separately if you want. Grab a bunch of plain packing paper and tissue paper. Don’t use newsprint because the ink can rub off. Fill the glass globe with bunches of tissue paper. Press the paper down firmly, but carefully so it does not break. Make sure the entire globe is filled. Stack several layers of tissue paper in your work space. Set the glass on top perpendicular to the corner of the paper. Lift two or three sheets of the tissue paper from the corners, then roll the glass wrapping the tissue paper around it. Be sure to tuck the extra tissue paper into the globe and around the base. Place the package on a stack of packing paper. Wrap the first sheet around glass in the same way as the tissue paper, but don’t tuck the paper into the globe and base. Instead, fold the ends down on top of the globe and mold the paper around the base. Wrap two more sheets of packing paper separately around the glass the same way as the first. Once the glass is wrapped in a tight and padded package, place the glass in the cell pack box with stem going in first. Use tissue paper or packing paper to fill in the gaps around the glass. Repeat steps 3-8 for all of the glasses that will fit in the box. Then, place tissue paper or packing paper on top of all of the glasses to prevent movement. Check your box for security by closing the flaps and giving it a gentle shake. If it rattles, you need to use more tissue paper or packing paper to fill in the gaps. If you can shake the box without rattling, it is ready to be taped. Tape Your Box Securely and Label It. The most important step for any box you are packing is to securely tape the flaps when closing it to prevent it from breaking open. Use at least two or three pieces of tape for each of the seams. Do not forget to mark the box as “FRAGILE.” If you are taking advantage of our Box Loan Program, we recommend writing this on the tape for our Leaders boxes so you can return them unmarked for your refund. If you still have questions about packing your fragile items, let us know. Our Leaders representatives are here to help. With over 22 years of moving experience, we know what to do to take care of your items. 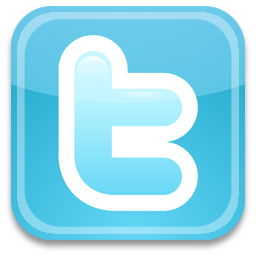 Give us a call at 1-800-481-6843 if you have any questions about moving, packing, or our moving services.